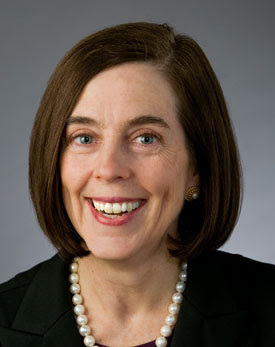 Kate Brown: You can't ignore 80,000 Oregonians. The Oregon Dept. of Fish and Wildlife submitted an application today to transfer its water right to Cascade Locks, opening the door for Nestlé's proposed bottling plant. We need you to act right now to protect our water. Not only does this new application result in the permanent loss of Oxbow Springs water, but it also excludes a public interest review. Call Governor Brown's public comment line: (503) 378-4582. Leave a message, or if you talk to someone tell them, "I want the Governor to drop her support for a Nestlé bottling plant, especially the transfer of the water right and avoiding a public interest review." And send your letter to the editors at the Oregonian: 150 words or less to, letters@oregonian.com. Include your name and phone number. Remember, we have protected our public water resources from Nestlé for five years now, thanks to your actions and your financial support (click here to donate). For background, see our page on this water giveaway proposal. To be removed from this list, please click here.